Diversification is a recipe for success in event marketing. You’ll want to spread the word about your event through multiple channels, complete with tailor-made campaigns that make the best use of each medium. Influencer marketing is therefore not a silver bullet; it is one additional tool in your arsenal. However, it is a tool that is becoming increasingly valuable in a cluttered promotional landscape. How can we track influencer marketing campaign results? 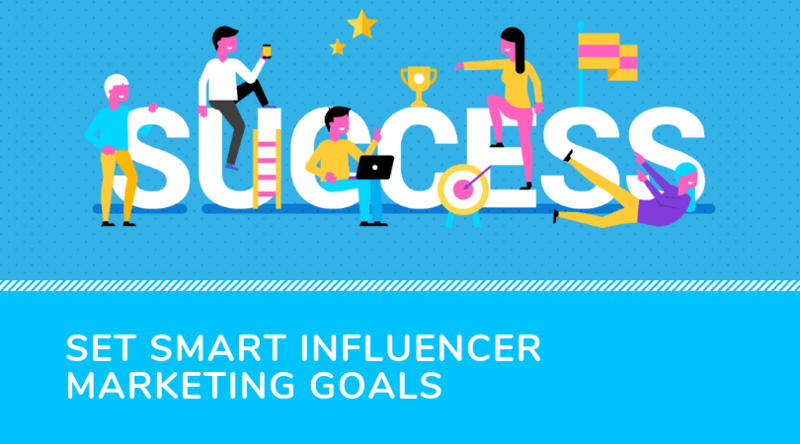 Thus, SMART influencer marketing campaigns need to activate specific networks of stakeholders in order to be successful. They also require a degree of quantifiability if there is to be any evaluation of success, and accountability on the part of influencers that you tap (if they are paid influencers, have them sign a contract). Goals should be attainable and realistic based on the size of the extended network you are looking to engage. Finally, all campaigns need a start and end point, and in events, these key dates tend to be pretty clear-cut. But it should be noted that the full potential of an influencer marketing campaign will not be revealed after just one year. The biggest returns on investment come from long-term promotions that are informed by data and insights accumulated over time. Snöball, our nimble influencer marketing platform, takes much of the ambiguity out of setting up an event influencer marketing campaign for success and can compile a lot of SMART and actionable information for you regarding referral traffic and other analytics. Smaller events with leaner budgets can take advantage of less costly influencer marketing tactics. We believe that you can empower your event participants to promote their presence at your event, and this will be just as effective as a paid endorsements from outsiders while costing much less. This is the principle behind snöball: one software platform can be used to engage hundreds of event influencers and track their progress, which carries much less risk when compared to paying $100 to 1000 potential influencers. When your event influencers consist of actual participants, their promotional activities will sound much more authentic. Ticket giveaways are the easiest way to drive influencer marketing results. It’s worked for years with radio station ticket giveaways and is even better suited for influencers because they have genuine enthusiasm about attending. In some cases, influencers can be difficult to activate. This is where gamification can help by turning your campaign into a competition. For example, you can reward the influencer with the highest number of likes and shares of their promotional content, or perhaps the one with the most referrals. Prizes for your top influencer(s) could consist of value-added experiences at your event, such as free social event access or tour tickets. Exploring other sales avenues can help you achieve your goals, and this is where affiliates come in. It works by encouraging people or organizations to sell tickets on your behalf, and offering them a commission based on how successful they were. 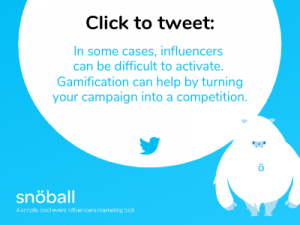 To do that, it is crucial to have the ability to track influencer marketing conversions and where they are coming from, which snöball can do quite efficiently. Determining the success of an influencer marketing campaign always involves a review of key performance metrics. Did it convert enough people to warrant the further investment? Were hard-to-access demographics, such as C-Suite or veteran industry members, swayed by the campaign? By keeping the end in mind and proceeding gradually, with an eye towards fostering and maintaining long-term relationships, you can confidently tweak your recipe to maximize success. When the ball gets rolling and your network of influencers are amplifying your sales, increase the stakes and expand your campaign! Snöball is a completely scalable influencer marketing platform, making it ideal for events of all sizes. This tool allows you to easily track influencer marketing results and gauge success and will grow as your event does. Sound interesting? Hit us up for a free, no-obligation demo.